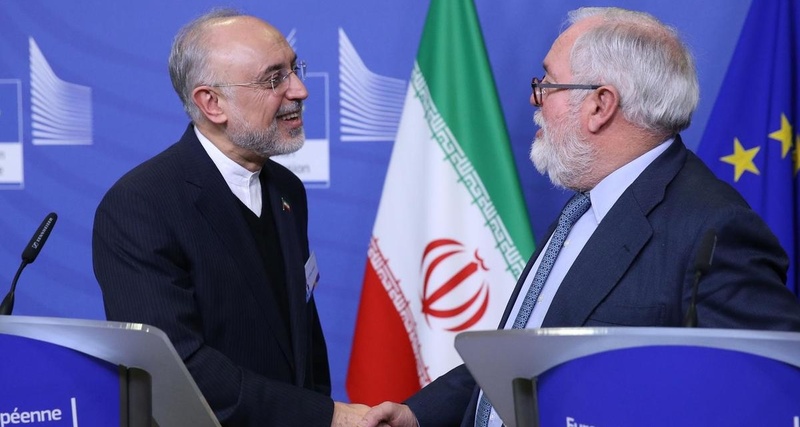 In a show of support for the 2015 nuclear deal, despite US withdrawal, the European Union has hosted Iran’s nuclear chief and its Deputy Foreign Minister. However, there is still uncertainty over whether Europe can provide the trade and investment links sought by Tehran in the face of comprehensive US sanctions, including those on the energy and financial sectors imposed on November 5. Salehi said US was not adhering to agreements on global peace and security and declared Iran’s priority of extending “constructive interaction with the EU”. But at the same time, Deputy Foreign Minister Abbas Araqchi showed concern that Europe could not confirm arrangements for trade and investment to bypass the US sanctions, with the threat of billions in dollars of fines on any companies retaining links with Tehran. Araqchi proclaimed that the nuclear deal is in a “critical situation”: “This is a reality”. He said Iran’s benefits from sanctions removal under the agreeement had “nearly reached zero”. The minister worried that European countries were not fulfilling an agreement for a Special Purpose Vehicle, bypassing the US dollar to trade in goods and commodities such as oil and gas. No EU country has agreed to host the SPV. He cushioned the statement with his belief that the EU is “doing its best”. The EU has said it will provide guarantees for small- and medium-sized enterprises dealing with Iran, but has struggled to provide them for large companies, in the face of the threatened large US fines. That has led to firms such as France’s energy giant Total, French auto manufacturers Peugeot and Renault, Germany’s Siemens and Deutsche Bahn, French aircraft manufacturer Airbus, the world’s largest shipper Maersk, and European airlines suspending business with the Islamic Republic. PreviousEA on BBC and talkRADIO: Why Trump Undermined UK Prime Minister May Over Brexit?